As you watch the sequel to Guardians of the Galaxy, you’ll get the impression that writer and director James Gunn wanted this movie to be about family. That is because it isn’t subtly hinted at but thrown into your face at every possible moment with each and every character on-screen. This wouldn’t necessarily be a bad thing if it didn’t leave the film feeling like it was lacking something more – something fun. Not that this film doesn’t have those moments, just that they seem reserved for two key characters while everyone else deals with some sort of family drama. Characters who had charm in the first movie now lose that in favour of forced character development. Chris Pratt will always be charming on-screen but Starlord doesn’t have the same appeal he had in the first movie. Rocket Raccoon, voiced brilliantly by Bradley Cooper, is not the same lovable scoundrel from the first but now an overtly tortured character who brings with him, you guessed it, family issues. The saving grace is, of course, Baby Groot. 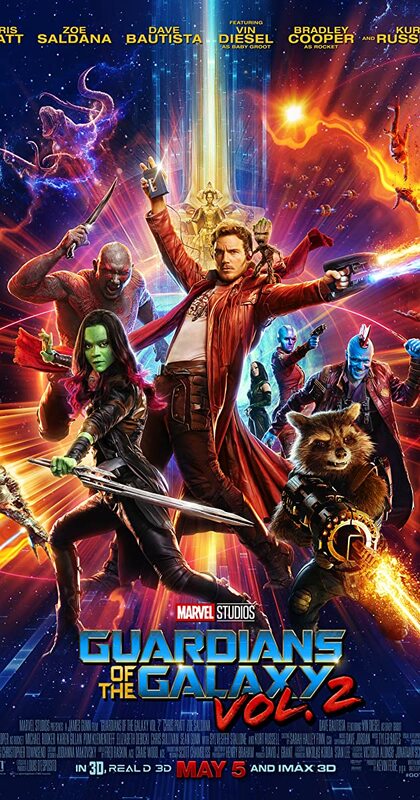 From the start of the movie, when the new, ingenious soundtrack kicks in and the action begins to unfold, Baby Groot is front and centre of the comedy. Cuter than you could imagine with an incredible expressions and reactions for each moment, Baby Groot steals the film and the best, literally laugh-out-loud moments come from him. Not that Dave Bautista’s Drax isn’t far behind. What should be a one-note character trait still has plenty of potential as Drax says what he feels, doesn’t get subtext, subtlety or sarcasm and has some of the best lines of the movie. These two characters prove there is still some of the comedic charm that made the first movie such a success. Not that it should have been an issue considering that Kurt Russell joins the cast. Cast as Starlord’s father, Ego, Russell brings the usual likability that you’d expect from the superstar. Well cast and jumping into this world with both feet, he makes a fine addition alongside returning characters such as Michael Rooker’s Yondu and Karen Gillan’s Nebula. He also signifies one of the other issues with Guardian’s 2; it lacks ambition. The first movie felt like a proper space-opera. It had many different worlds, varied characters and stories within stories which felt like the universe the events occurred in had countless opportunities. The second volume feels constricted and once the Guardians finally face the villain of the movie, you soon discover that the theme of family has replaced some of the more creative aspects that helped make the first film a success. This also means that the action falls into the Marvel Cinematic Universe’s “messy, massive finale” issue. So many characters and so many motivations mean plenty of cool set-pieces but nothing with any real heart. Guardians second volume lacks the soul that gave the first movie it’s charm and appeal. Overall, Guardians returns but tries to be too different from what came before. 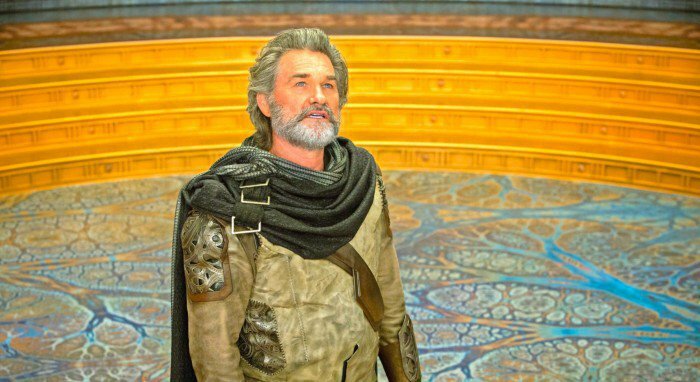 Drax and Baby Groot offer the laughs and Kurt Russell is a great addition to the cast but the theme of family is a crutch, making too many characters less interesting than they were before. A much more generic entry into the Marvel Cinematic Universe.